Diwali.. The festival of light.. The evening of bringing light, hope and meaning to our light. Its 28 Oct again and while I am enjoying my favorite cup of tea after a hectic day; something inside me stirs.. And I contemplate.. Light in my life.. The moment of sunshine. Yes it was 28th Oct of year 2011.. I have just completed my PG in psychology and was wondering about my career. I was gainfully employed.. But that sense of direction.. The meaning in life was missing. And then it happened as if pre-decided.. As a divine blessing.. As an answer to my call. I heartfully thank my FB friend Ahmed who told me about this opening.. A post of coordinator in the IGNOU study center.. The sunshine in my life. I humbly grabbed the opportunity and there was no looking back. The job was demanding.. Taking lectures on weekends.. Administrative job on weekdays.. Just like principal of a school. But as they say "everything happens for a reason" it was a job that brought out the best of me.. Like I was in a state of Flow.. I pioneered many initiatives like preparing assignments to be given..organising practical classes.. Conducting practical exams.. Psychology was a new subject at IGNOU back then.. and hence very challenging.. But all the challenges became the step stones to my destiny.. My cherished goal.. A CEO of a company providing psychological services in and around Delhi & NCR. Life gives us small gifts and that have the capacity to make your life upside down.. just like a small mud lamp can destroy all darkness.. that ray of sunshine removed all uncertainty and filled my life with purpose and joy. My life changed.. With just a sunshine. The fellow Blog-a-Tonics who took part in this Blog-a-Ton and links to their respective posts can be checked here. To be part of the next edition, visit and start following Blog-a-Ton. Participation Count: 02. Yeah I found this great picture of my life and work in progress of more positive change. Wonderful that you brought out an important chapter in your life thru the use of this creative prompt!!! If one get to live their passion and dreams through their jobs...nothing like it. Thanks for writing on my this blog post. And yes it was the turning point of my life. Glad you found your way in your life. I found my way og life and enjoying the career ladder. You were a deserving candidate and I just showed you the path and you selected to walk through by your own instincts. That was the first time we met and now we're good friends...And life is also going great. ..
Amidst the darkness, a small ray of light gives us hope. wishing you a very best in your career. Thank you Ash for reading the blog and appreciating my thoughts and you are 100% true that small ray of light gives us hope and that ray of hope enlighten my life. Yes I found my universe call for life. 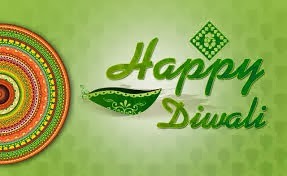 all the best..may the festival of lights, light ur life in every which way u want it to! Thanks Dear for great wishes! I'm wishing you the same. Congratulations. I am sure you will be able to take "light" to many others as well through your job. Thank you for your wishes. I wish I do the same for others life too.